The expansion of the Palacio de los Deportes Martín Carpena was opened last year in the city of Malaga. 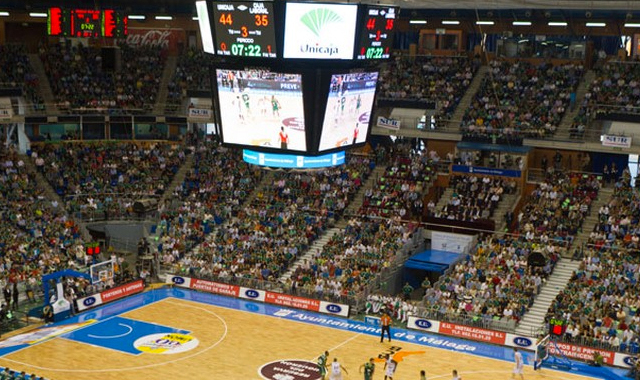 PROSS Automática supplied and installed the equipment required to motorise the “giant video scoreboard” manufactured by MONDO lbérica, considered one of the largest in Europe. Lifting is performed using 8 STAGEMAKER SM25 motors with two speeds.